Martin is a graduate of Southeastern Louisiana University with a BA in Urban Studies. He retired in 2007 from the City of Slidell where he served as Director of Planning for over 14 years. He is also a graduate of Leadership Slidell. 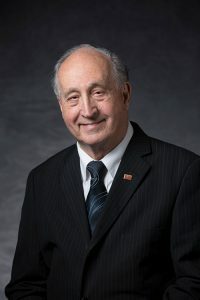 He has served on several boards including President of the Louisiana Chapter of the American Planning Association, Chairman of the Board of the East St. Tammany Chamber of Commerce, President of the St. Tammany Economic Development Foundation, the St. Tammany Economic Development District, and the United Way Leadership Council. In 1999, Martin was inducted into the College of Fellows of the American Institute of Certified Planners. Martin and his wife Eileen live in Slidell and are the proud parents of four children and eleven grandchildren.